Why is the Google Nexus 7 Tablet Best for Gaming? If you're serious about gaming then you're probably going to already know that the best kind of Mobile device to game on is a tablet computer. With increased resolution and higher quality graphics, it's much preferable to playing your games on a phone. 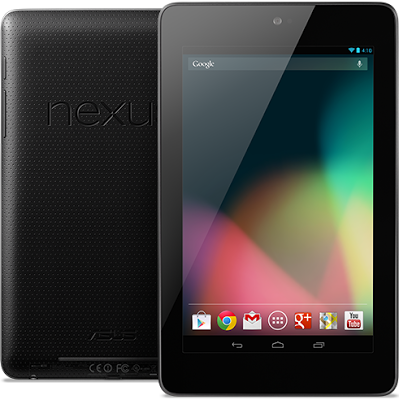 The Google Nexus 7 has been specially designed with Google Play in mind too. This means that when you fire up your Google Nexus 7 you'll be instantly able to download movies, TV shows, books, games and music from wherever you are. The Google Nexus 7 is also able to access the Android Marketplace which is now being called "Google Play", offering even more entertainment opportunities. With over seven hundred thousand games and apps, it's a good bet that you'll find something in there that takes your fancy. If gaming offline isn't really your sort of thing then maybe you'd prefer to be playing online games on Android phones like arcade games, racing games, puzzle games and action games, these classics and hundreds of others can be found at online gaming sites all over the internet and all of them are accessible through the built in web browser. Because the Google Nexus 7 uses the latest hardware it is able to deal with even the most taxing apps and games. Surfing the web whilst listening to music is no problem, and if you're in a gaming mood then you can play while you talk to friends or family over Skype. The possibilities for enjoyment are endless. With so much entertainment out there to enjoy, it's becoming more and more important to be able to find a way to keep hold of the stuff that you really like and with 32 gigabytes of storage you'll have no trouble storing all the games you could ever want to play, alongside photographs and music to enjoy while you're gaming.